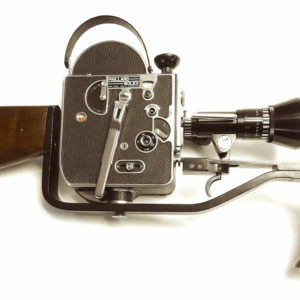 Offered here for your perusal is this circa 1950s Bolex – Paillard Swiss Made 16mm underwater camera housing on a mid century Majestic crank up metal tripod with a geared pan head. Showing the scars of underwater cinematography during its professional working life, this wonderful display piece will look good in a both a residential or commercial / industrial decor application. The camera housing has been re sprayed at one point in the distant past and has the original lens viewing port and hand wind crank and handles in place. An odd and wonderful artifact of the underwater cinematography technology of the mid 20th century. It can still take a Bolex camera and shoot underwater films with a basic UW service done first. 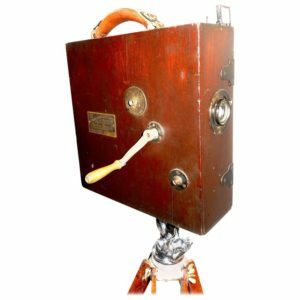 The Majestic brand tripod and geared head is well patinated, vintage (shows some clean and even black cosmetic color re-spray to legs and other areas) and also circa mid 20th century. The tripod will crank up to achieve an overall height for the camera housing of 68 inches. 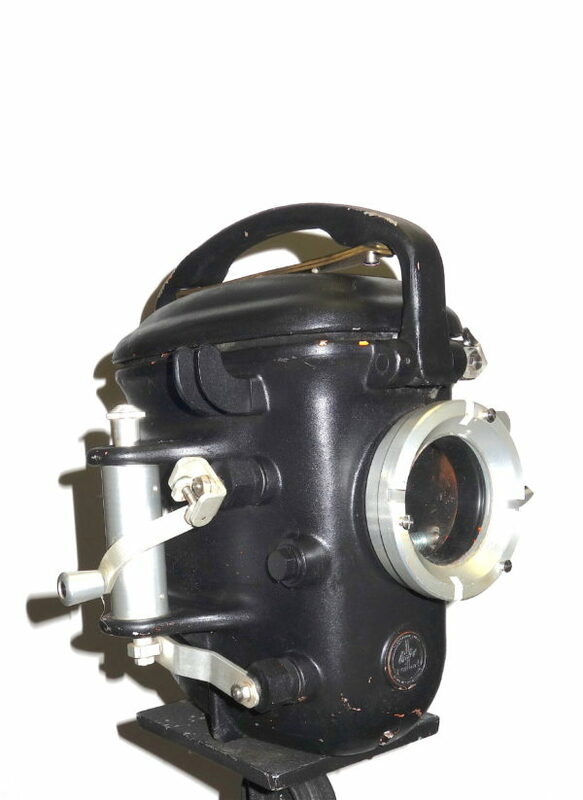 Note: We have several other vintage underwater camera housings for a great ‘instant’ collection opportunity.